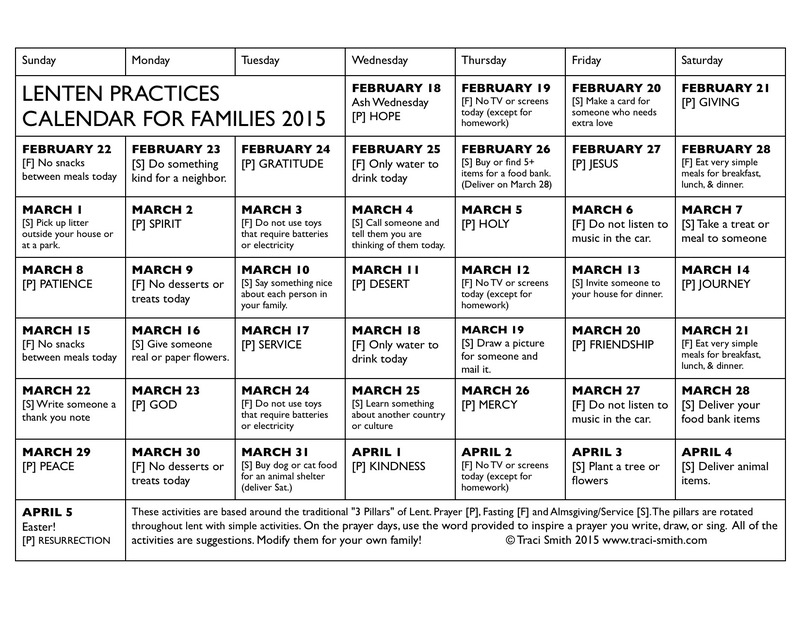 So excited to share this family Lenten Practices calendar! (PDF HERE) Each day there is either a prayer [P], service/almsgiving [S] or fasting [F] activity. The activities aren’t terribly time consuming and can be adapted for a variety of different ages. On prayer days, a word is given that can be a prompt for a prayer (either written or drawn). On fasting days, simple things are abstained from for a day to give the experience of sacrificing something to focus on God. On service days, a simple service activity is featured. Looking for a simple daily devotional for adults? I wrote one available for purchase from Chalice Press! Pastors and educators, please feel free to download this calendar and include it in your newsletter or bulletin. Happy Lent!